1999. Their collaboration resulted into a place, which offers fine dining in a casual atmosphere. 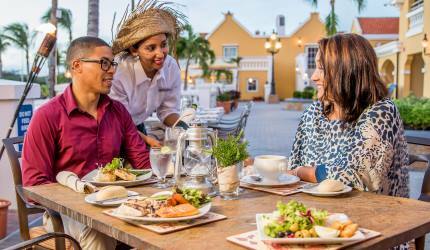 gives their dishes an original flavour with a touch of Caribbean in it. We call it the Madame Janette Experience! 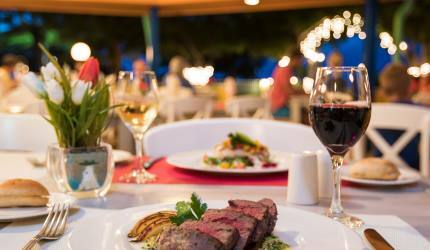 We hope that you will have a wonderful dining romance. Things were going well until the food came. My wife's inaccurate entre was detected by the waitress and returned to the kitchen. After waiting a few minutes, I began eating and was almost finished before her dinner was served. No apology or explanation was given. We later learned that her entre was a different type of fish than she ordered, Snapper vs Grouper. If we had been told how long it would take to prepare the correct order, she would have readily accepted the initial meal, but we were not given a choice. And after asking the waitress for a desert menu, she never returned to take our order. After waiting for about 20 minutes, another person who appeared to be a supervisor or manager asked if she could help us with anything, so we gave our orders to her. And again my wife did not get what she ordered which was a simple piece of Chocolate cake. Instead, she was served a Chocolate Souffle; it was very good. Just fyi, I paid a full bill plus a 20% tip. I thought maybe they were just having a "bad day," but I will not be going back to find out!! A truly dated restaurant. Food and presentation average at best. Tried the special which sound good on the menu, but everything we received was over cooked. Very expensive for what you get. Much better options on the island. They are busy with mostly an older crowd, so must be why they're not even trying. We ate there on 2/3/18 for a 6:30 seating near the entertainment section. While the sun was still out everything was ok. However, when the sunset we could not see our food and asked the staff for 2 candles, but they didn\'t help. We had to use the flash lights on our phones to see the meal. The main courses were fine, however the creamy spinach was watery and the rest of the side dishes where cold when served. It took for ever to get our bill once we completed our meal. We got the feeling they were trying to keep us there because they weren\'t that busy on a Saturday night. 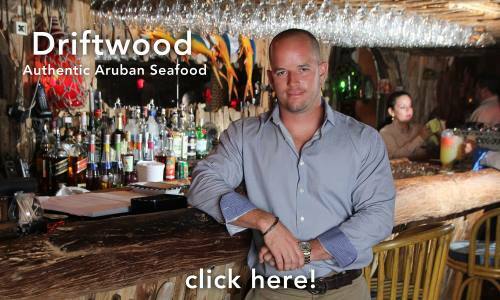 Too bad, because this used to be our favorite restaurant in Aruba. We visit Aruba twice a year (its our home away from home). By far this is one of the places we go to every time. Everything about this restaurant is amazing! 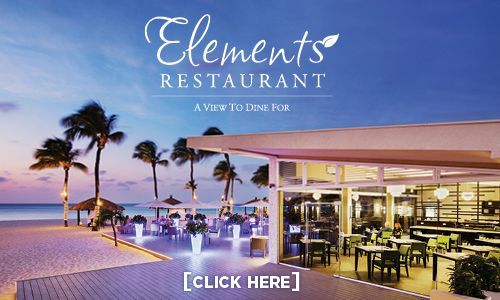 You can not visit Aruba without dining here. My wife and I chose this restaurant on our 24th wedding anniversary on suggestion of our concierge. 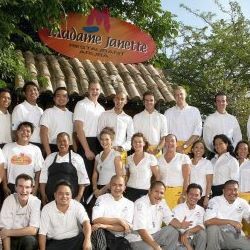 This will be our 6th trip to Aruba and our 7th or 8th meal at Madame Janette's. The food is always great, the service is always great, the atmosphere is always great and the live music is always great. For individuals that have rated this restaurant poorly I am dismayed. My wife and I have traveled the world together and eaten at some of the best restaurants known. That said, we have never been even remotely dissapointed at MJ's. I try something different each time I go, and I am always amazed at how I couldn't pick a favorite if I wanted too. My wife is a fish person and I am a steak person. We both have multiple items available and the desserts are always the best. Our first experience at Madame Janette's several years ago was not a good one, this year made up for that. Our waiter patiently answered our questions and was diligent in notifying the kitchen of our food allergies. Three of us had the filet mignon, all cooked to perfection. I went with the lamb chops and was blown away by how good they were and the sauce that much better. After my daughter finished her steak, she couldn't stop dipping her french fries into the lamb sauce. Very happy we gave it a second chance. 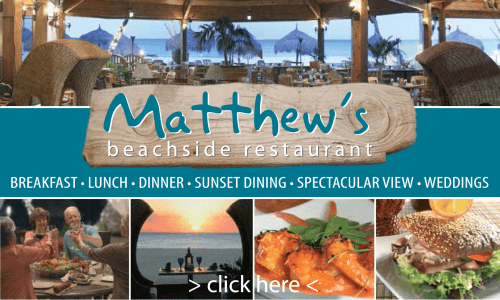 We had heard so many complimentary things about this restaurant before we went to Aruba, we were wondering if it would really live up to the hype. And hands down, it did! The food and service were superb! The almond encrusted grouper w/spinach cream sauce w/the white asparagus was Delicious! And my husband thoroughly enjoyed his tourenados of beef wrapped in bacon-along w/the au gratin potatoes. The wine, the service & the special dessert they presented to us (as we were celebrating our 25th Anniv) was a special added touch. We will definitely be back! !